They look alike, but it's good thing Jorge Garcia was on "Lost" instead of Rowlf. Because if Rowlf had been on the island, the other castaways probably would have eaten him. 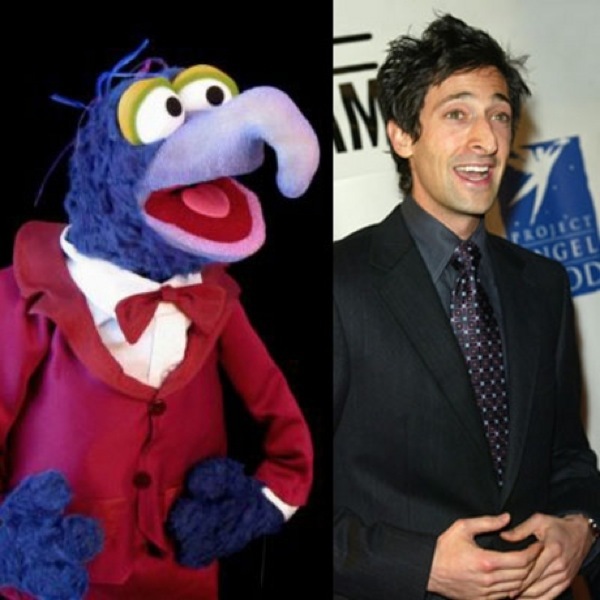 They look alike, but Gonzo has never won an Oscar. Then again, Adrien Brody has never been romantically involved with a chicken. So I'd say they're even. As Jeff Foxworthy would say, "If you are a former Sesame Street character that closely resembles a certain blue collar comedian who talks about rednecks...then you might be Sherlock Hemlock." 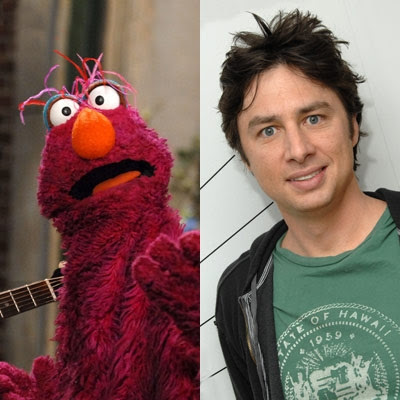 Zach Braff has made two movies, while Telly Monster has made zero. But that's only because Telly Monster feels weird about asking for money on Kickstarter. 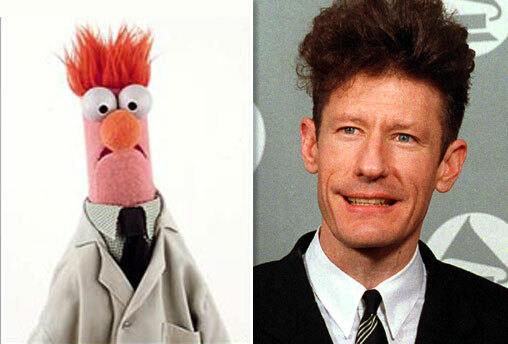 Unlike Lyle Lovett, Beaker never married Julia Roberts. However, Beaker did briefly date Winona Ryder in the 90's. 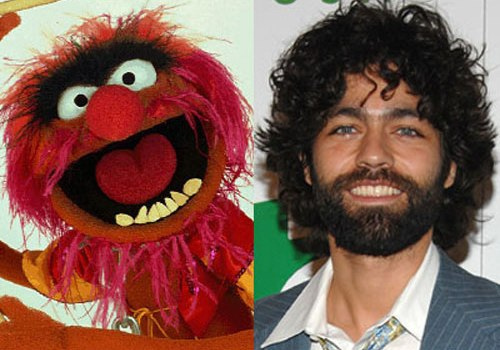 One is a delightful Muppet that's been entertaining people since the 90's. The other is Pepe the King Prawn. Ben Affleck and Guy Smiley look alike, but there's one key difference - comic book fans think Guy Smiley would make a WAY better Batman. Pops looks like Wilford Brimley. Or maybe Wilford Brimley looks like pops? This is a real chicken-or-the-egg scenario. Mr. Johnson, of course, is a regular customer when Grover is a waiter. And he's also a more qualified doctor than Dr. Phil. Admit it. When you saw those old Mac/PC ads, you wished John Hodgman would conduct a Bunsen-esque experiment that would make Justin Long explode. This reminds me - I need to pitch to HBO an animated spinoff series, "Entourage Babies." One is known for having an imaginary friend. The other is known for having an imaginary job. 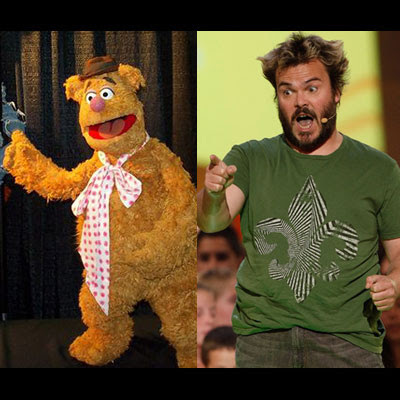 Jack Black can often be seen performing with KG, while Fozzie is often seen performing with KF. Not only do they look alike, but if you listen to them talk, they're both about equally intelligible. Much like Flavor Flav, Dr. Teeth also once had an inexplicable affair with Brigitte Nielsen.